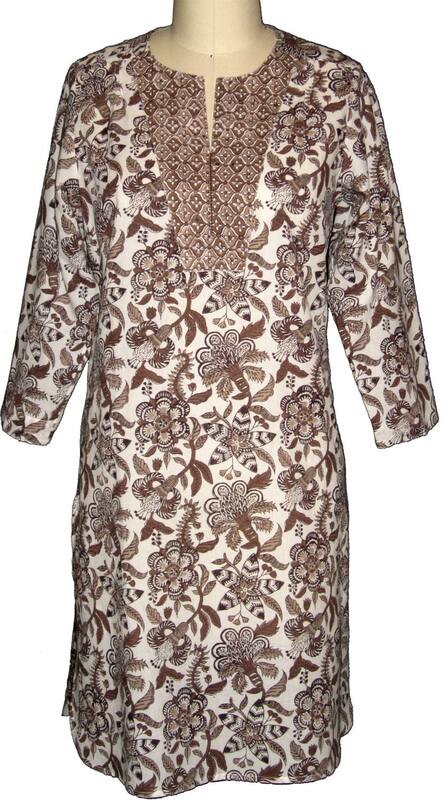 Our thigh length blouse – or kurta - is made from 100% hand block printed cotton. 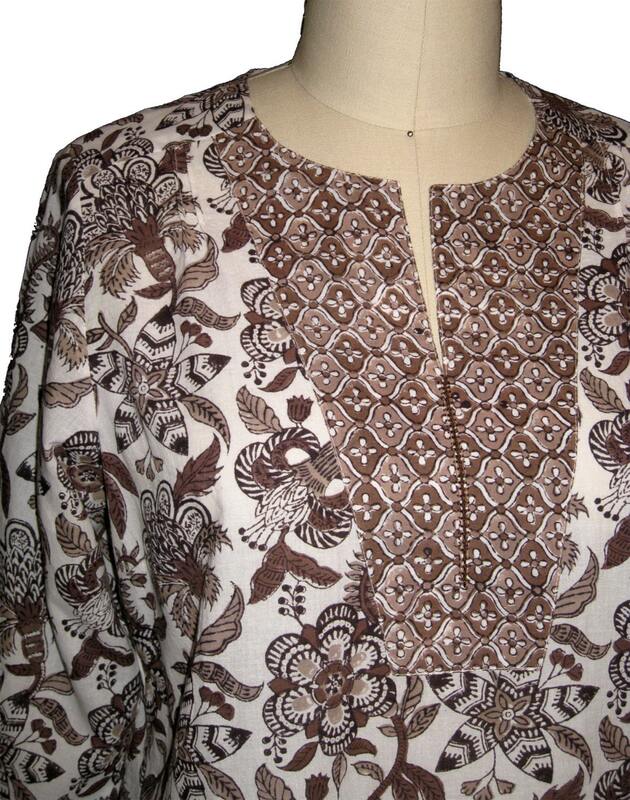 The neckline is round with a hand-stitched slit in a complementary fabric. 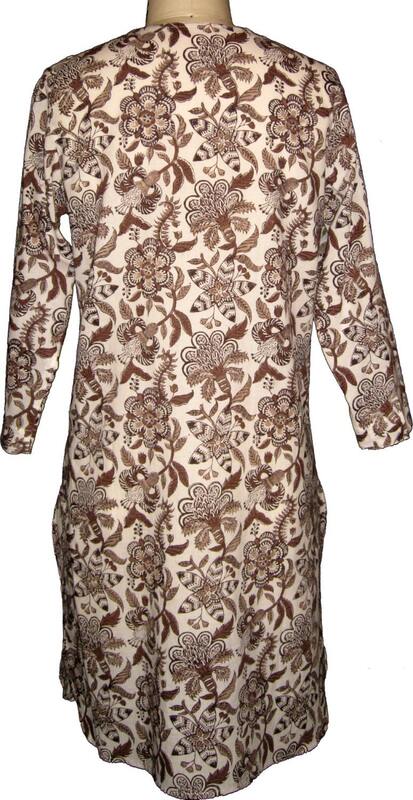 A great loose & cool blouse for the summer it features deeps side slits & 3/4 length sleeves. Unused items in original condition with tags still attached may be exchanged within 7 days of buyer’s purchase. In the event that an item cannot be exchanged we offer store credit towards a future purchase. Please contact us if you need to exchange an item.